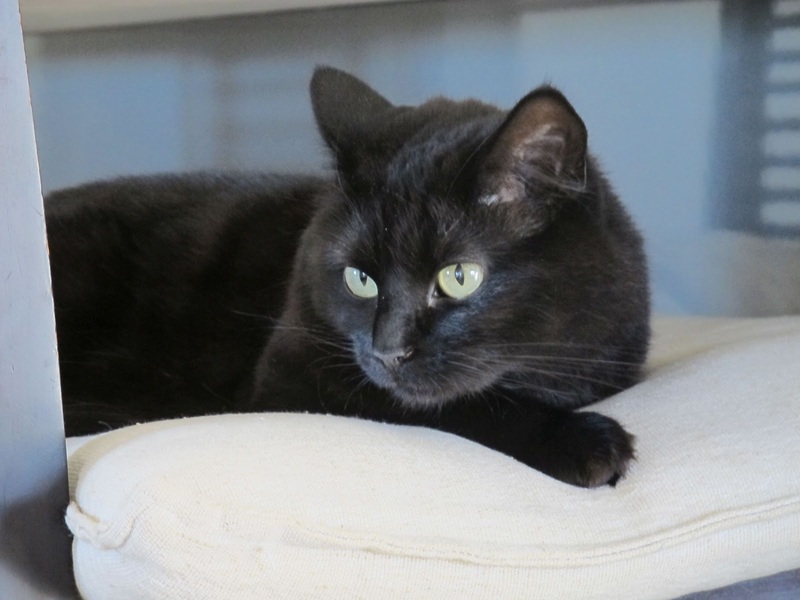 Go to the start of this article by clicking – here. Another thing to do in the day is the the History Route. Download the details on www.riebeekvalley.info. It starts just outside Riebeek Kasteel in the direction of Hermon. 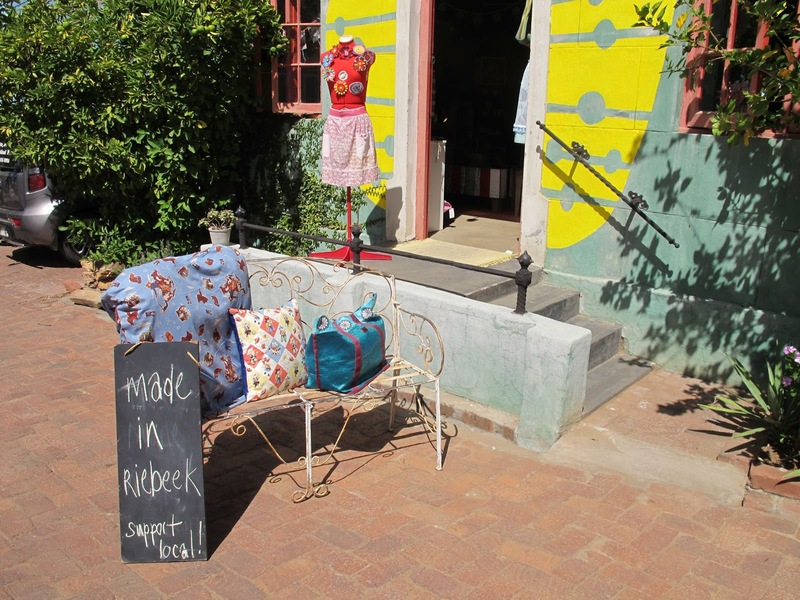 We popped into Hermon thinking it would be as quaint as Riebeek Kasteel. It’s not. There’s a bottle store, a general dealer and an agricultural supply outlet. That’s it. The drive is not well marked but we managed to find most of the places or points of historical interest. 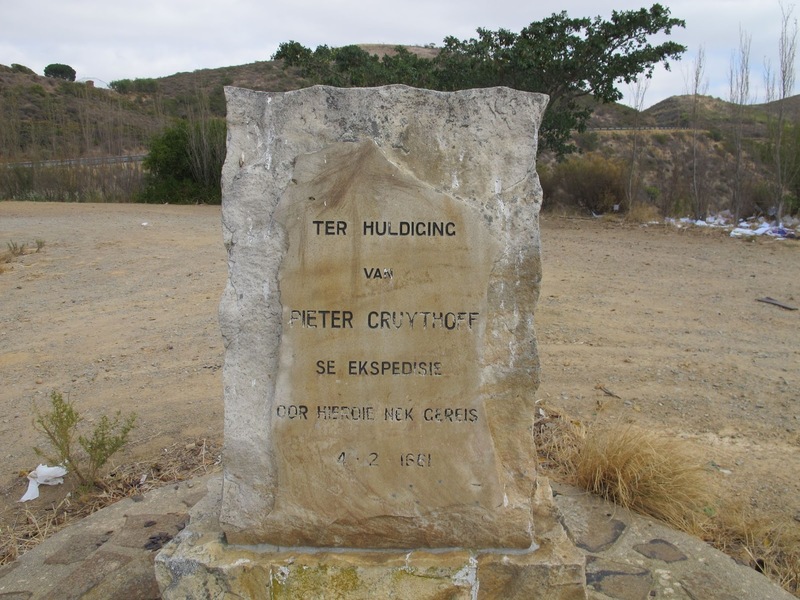 We had to drive back and forth a few times before we spotted the Pieter Cruythoff Memorial stone. 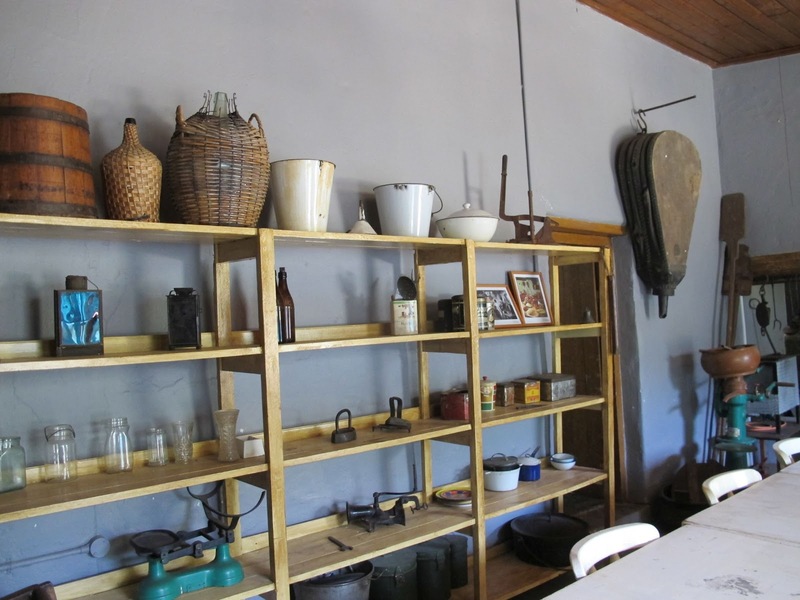 The museum at De Oude Kerk has genuine Boer (Dutch settler or farmer) day to day living items as well prehistoric tools. They have a touch screen information board where you can read as much or as little as you want. I loved the Jan Smuts museum at the PPC Cement factory. 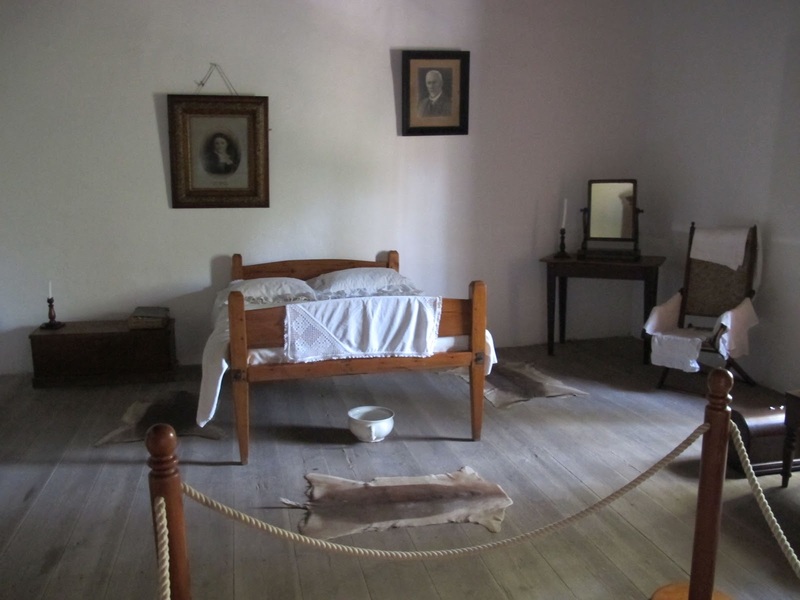 PPC is a bit of a blot on the outskirts of this pretty area but kudos to them, they have restored Smuts birthplace and turned it into a museum. You can see old newspaper cuttings and photos of Smuts. I worry that they have not been copied and the originals kept in a safe place but I consider myself lucky to have seen what they had on show. Don’t fancy driving? Well you could stroll around the central area taking in art galleries, boutiques, craft shops and eateries. 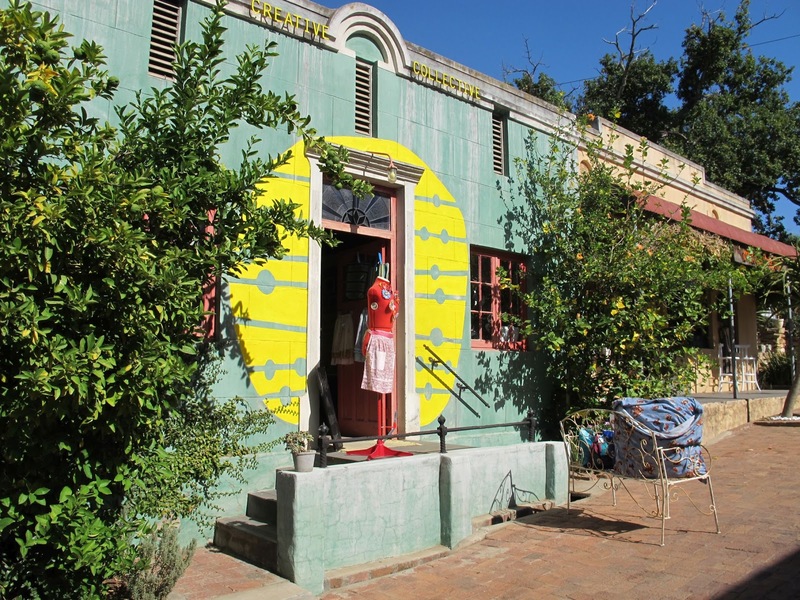 We found art, ceramics, wrought iron work, clothing, home-made skin care products as well as jams and chutneys. That is by no means all there is to view or buy. RK has some rather out there decor in the eating places. 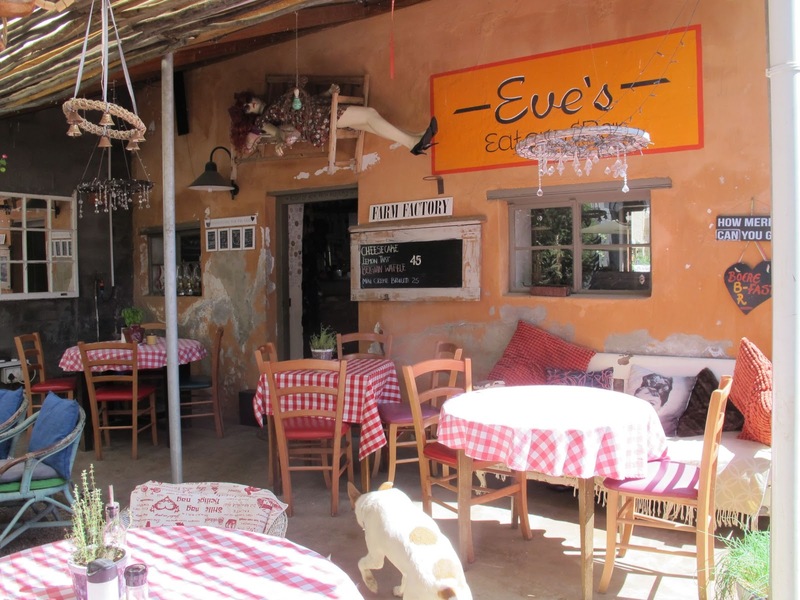 Eve’s Eatery has a “chandelier” made from a bicycle wheel and various stuffed characters dotted around. They do a 3 bean burger which was good. We LOVED Mama Cucina. They do the very best thin based vegan pizza ever. It’s not on the menu but apparently they make it often so just ask. Once the sun sets behind the mountain and the ambient temperatures drop, it remains light until the sun actually sets. Local residents come out in the cooler air and get fit walking, running, cycling or leisurely take their dogs for a sniff around. Kids come out to play or people head out for sun downers or a meal. We made sure we went walkabout with the dogs every day once it was cool and got to see as much of Riebeek Kasteel as we could. I loved the Beware of the Snakes signs. Not a common sight. We also got to see the tractors and trailers filled with grapes as farmer were furiously harvesting. Since Riebeek Kasteel is a teeny tiny village, it doesn’t generate the same amount of light as a big city. Which means the stars shine brightly. The full moon is so bright it’s as if a light has been switched on outside. Even during full moon we could see Sirius, Orion’s Belt, Betelgeuse, Bellatrix, Castor and Pollux and The Southern Cross. How do I know this? My other half is a not so ancient mariner who still knows how to plot a course with a sextant. (He can tell the weather and time of day looking at the sky. The rest of us can download an app or map to do some star gazing. New moon is a perfect time. After a whole week of time out we reluctantly made our way back home to face a never ending To-Do list. We were so lucky to have this break and should we come again, we know there’s lots to do. Having said that, doing nothing can also be fun. 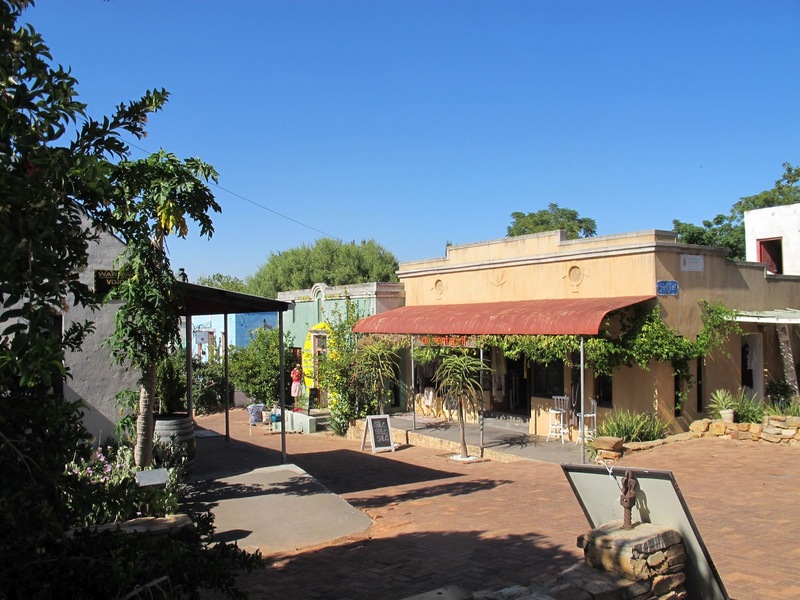 Riebeek Kasteel gets hell hot in summer so bear that in mind when planning day excursions. Wine tastings are a good way to start as wines from this region have a distinct character. It has something to do with the seasons and the soil. 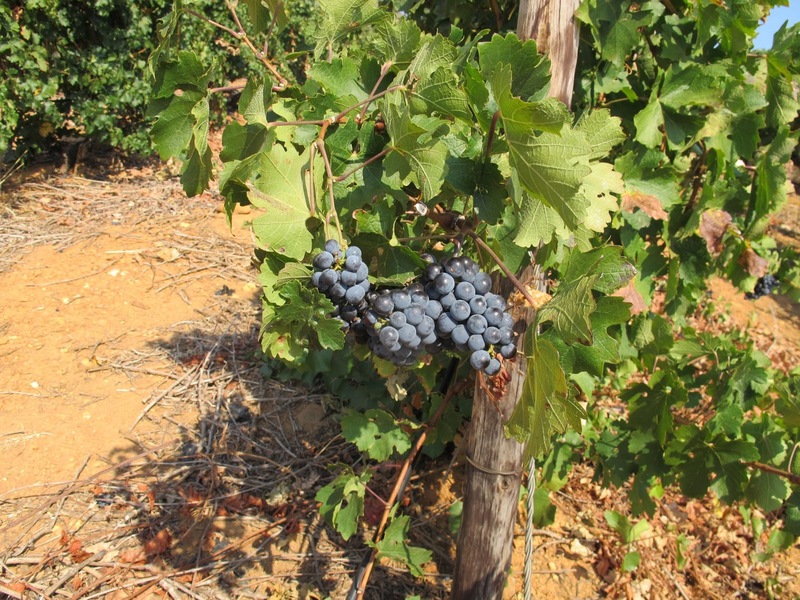 There are South African cultivars that grow particularly well in the Swartland (Black land) like Shiraz. Pinotage is unique to South Africa, it’s a new age Pinot Noir. Do make a point of tasting them. 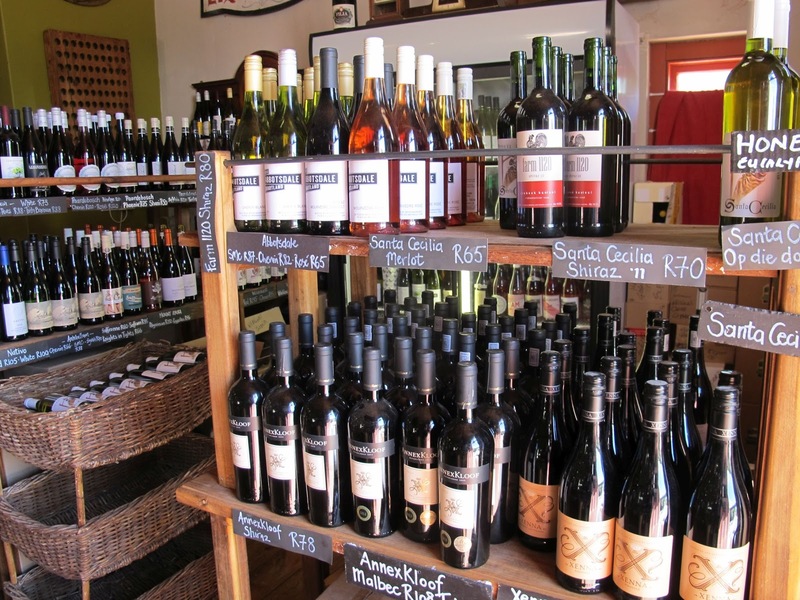 Visit The Wine Collective or Wijn Kollectiv in Short Street for wine tastings. 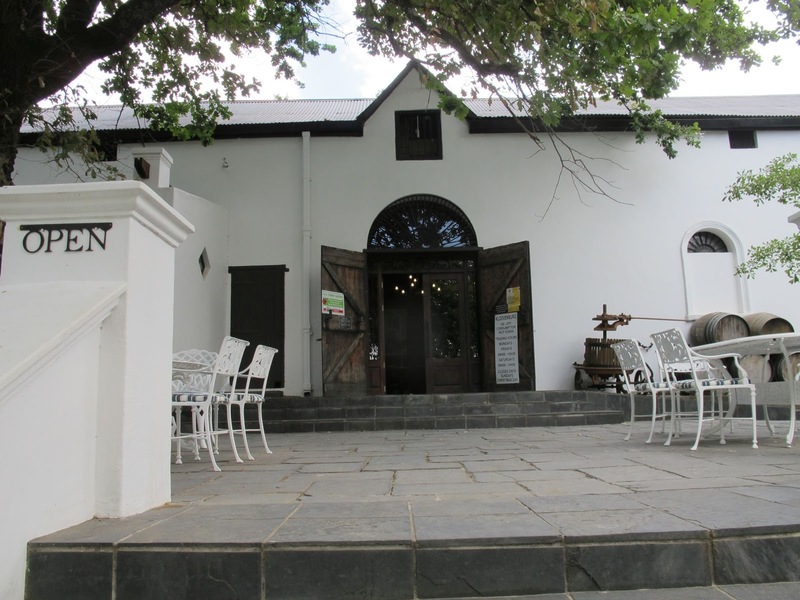 They are in the heart of Riebeek Kasteel and stock a good selection of wines from the region to suit all pockets. We are unashamedly thrifty and the bloke who helped us wasn’t fazed by that at all. If you happen like any of the wines you bought, they do on-line deliveries all over the world. www.thewinekollective.co.za. Good to know. The name of this farm means – All is Lost. The widow Cloete who owned the farm came home to find the San people had set fire to the place and she uttered those words. The name stuck but don’t worry, the farm is in good nick. It is the oldest wine farm in the region. They do a wine tasting for R20 but waiver that fee if you buy wine. We liked that. And bought a few wines including a dry rose. Who knew rose could taste so good? They do an exceptional port but we’re not keen on sweet or fortified wines. The Pleasant Pheasant cafe is on the other side of the farm and they serve – great wine obviously – at a bargain R20 a glass – but pizza, burgers and quiche with chips or salad. Not gourmet, but good. 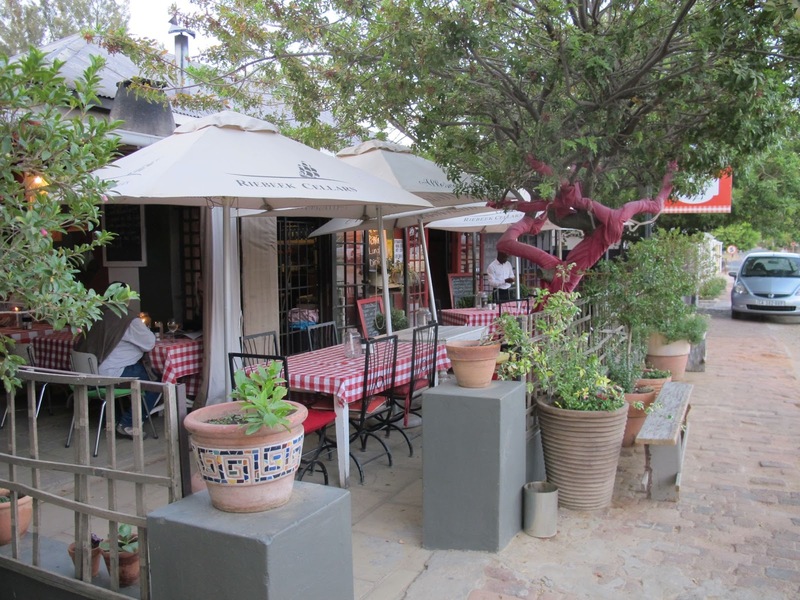 They are the only vineyard that has a restaurant unlike most of the other wine routes in the Cape. 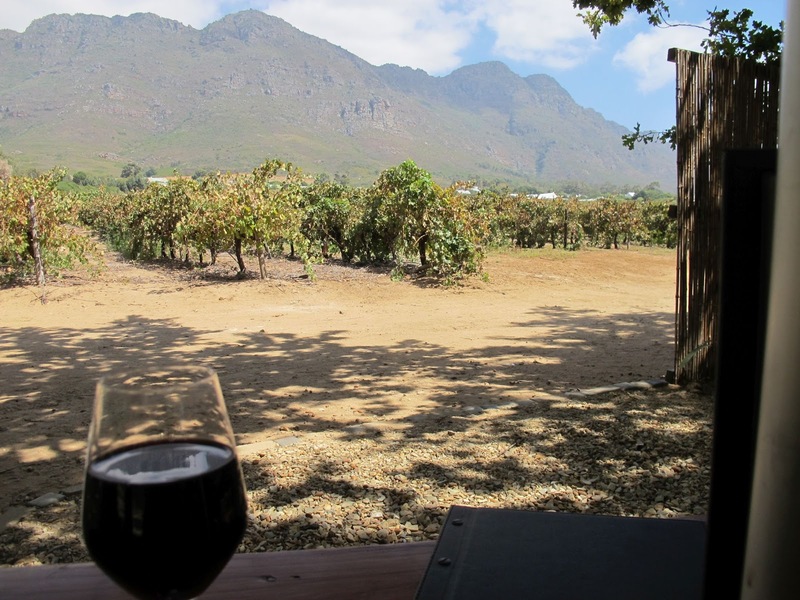 I mentioned we did a walk from this wine farm earlier in this post. You may want to do the same. Pulpit Rock is a new winery, the first grapes were harvested in 2004. It belongs to the Brink family who have been farming in the area for more than 5 decades. I loved the wines. And loved the prices. We couldn’t do wine tastings – and still drive – to all the farms so this one sadly was given a miss. Hey, there’s always a next time? What’s nice about this estate is that it has buildings going back to the 18th century. It was mentioned in the History Route Guide as a “must see” for it’s architecture. We never got to this winery either but apparently it’s a good source of exceptional quality bargain wines. They won 4 Bronze and 2 Silver Decanter World Wine awards in 2013 and 2014. 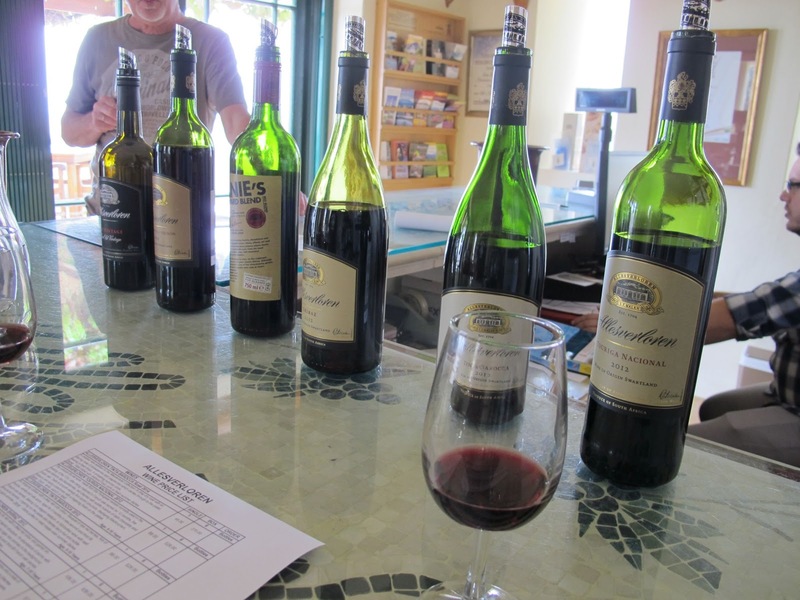 Their Pinotage and Shiraz were in the top 100 wines in South Africa in 2012. 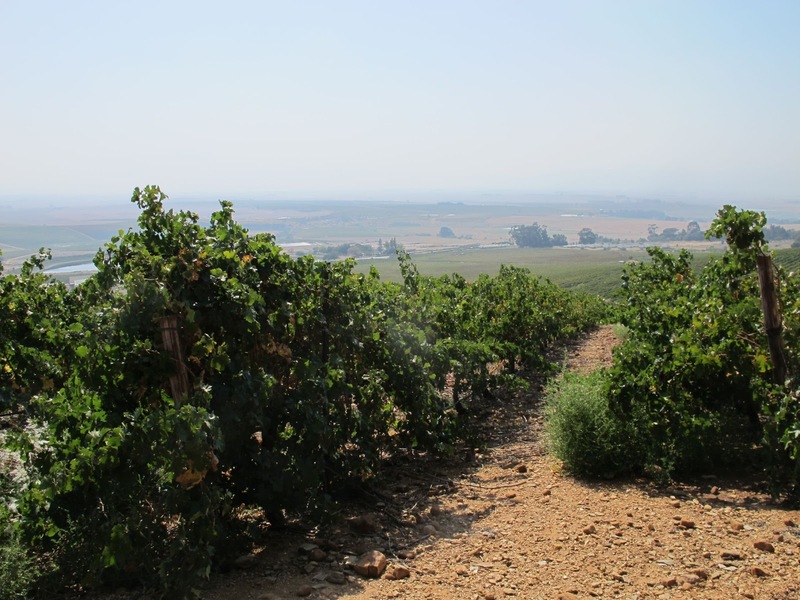 The Swartland Wine Route is a bit further out and includes even more wine farms. 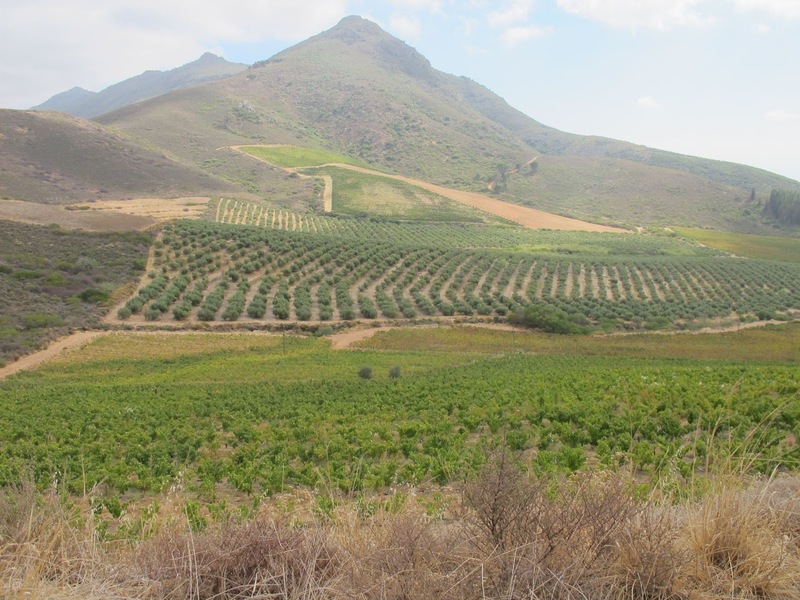 Ask for a Swartland Wine and Olive Route map at one of the wine farms or find it on www.swartlandwineandolives.co.za. We’re partial to dry reds. Have to say, the dry reds in this region are right up our street. These wines definitely need to breathe to be at their best. My husband and I tend to buy organic wine but over the years of visiting wine farms we have noticed that farmers are steering away from using a plethora of biocides – aka herbicides, insecticides, nematicides, termiticides, molluscicides, piscicides, avicides, rodenticides, predacides, bacteriacides, fungicides – yes really – and engaging in a more natural approach to vinticulture. I’ve not seen nets covering the vineyards before to keep birds out, but saw them on this trip. And we heard birds in the area. Yay! So although the wines aren’t labelled organic, they are much cleaner than in the past. South Africa exports a LOT of wine to Europe and the EU standards for pesticide levels are high. Also a consumer shift to cleaner and greener wines is forcing vineyards to be compliant to stay in business. Great news. Don’t forget to do an olive tasting as well. 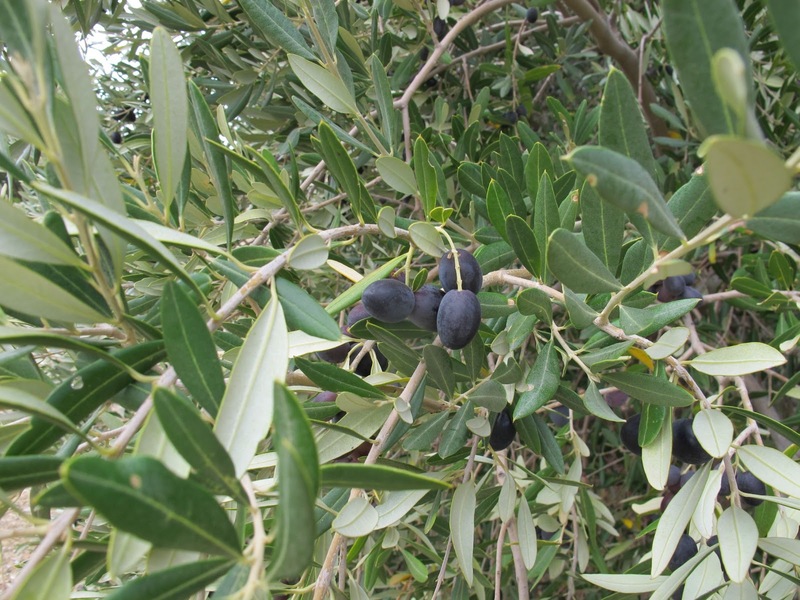 Should you miss out on olives at any of the wine farms you can always pop in to Het Vlok Casteel which is right in Riebeek Kasteel. They sell the best olives ever. And other olive products such as skincare and oils. Move to Part 4 with – this link. 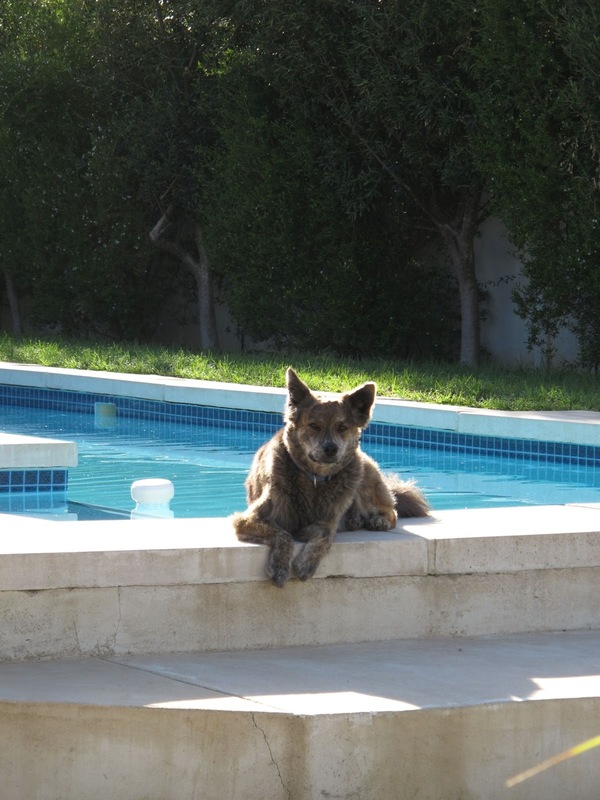 If you go to My Holidays and Trips page you can find out about other places we have been to.